Inequality has slightly widened in the past year in the Philippines, where only 0.1 percent of the adult population has wealth of more than $1 million. 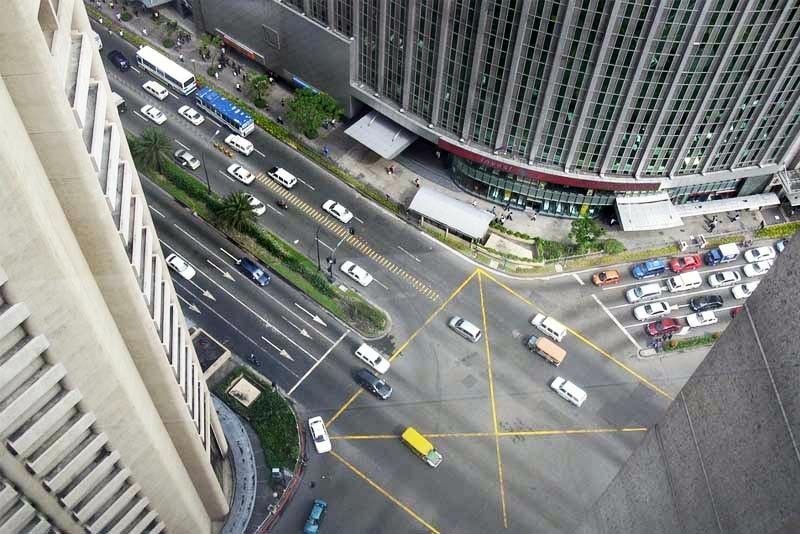 MANILA, Philippines — Filipinos' total wealth declined in 2017, according to a report by Credit Suisse that also shows slightly increasing wealth inequality in the country. 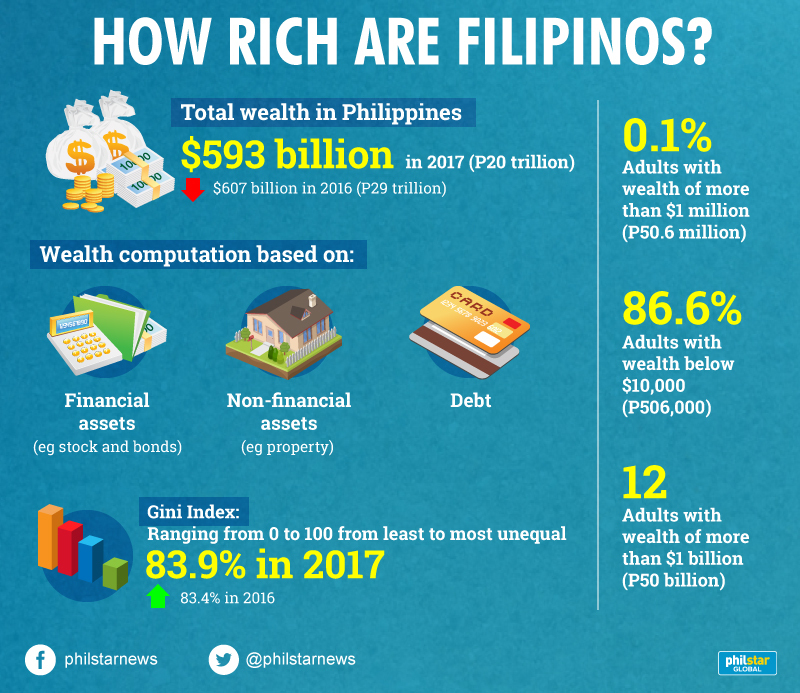 The Swiss bank's annual global wealth report revealed the Philippines' total wealth depleted to $593 billion in 2017, lower than 2016's $607 billion. Credit Suisse uses three components to gauge wealth—financial assets (like stocks and bonds), non-financial assets (like property) and debt. Based on the report's wealth estimates, financial assets owned by each adult in the country receded to $3,746 in mid-2017 from $3,971 last year. On the contrary, non-financial wealth per adult climbed to $6,485 from $6,354. Debt per adult likewise surged to $458 from $447. In terms of wealth distribution, only 0.1 percent of the Philippines' adult population have fortunes amounting to over $1 million. On the other hand, 86.6 percent of Filipino adults has wealth worth below $10,000. This brought the country's Gini percentage—a commonly used measure of wealth inequality expressed as a number from 0 to 100, where a higher number indicates a more unequal distribution of wealth—to 83.9 percent, a tad higher than 2016's 83.4 percent. Among high net worth individuals here, only 12 Filipino adults have wealth reaching over $1 billion. Population rise in the Philippines has also outpaced wealth growth, with the country's mean wealth per adult falling to $9,773 in 2017 from 2016's $9,878. Meanwhile, in the year to mid-2017, total global wealth rose at a rate of 6.4 percent, the fastest pace since 2012 and reached $280 trillion, a gain of $16.7 trillion. "This reflected widespread gains in equity markets matched by similar rises in non-financial assets, which moved above the pre-crisis year 2007's level for the first time this year," Credit Suisse said. However, looking at the bottom of wealth distribution, 3.5 billion people—corresponding to 70 percent of all adults in the world—own less than $10,000, the Swiss bank reported. The world's top 1 percent held 45.5 percent of all household wealth in 2000. Now, they hold 50.1 percent. 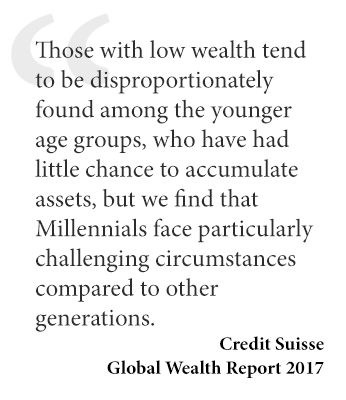 "Those with low wealth tend to be disproportionately found among the younger age groups, who have had little chance to accumulate assets, but we find that Millennials face particularly challenging circumstances compared to other generations," the report said. "While the bottom half of adults collectively own less than 1 percent of total wealth, the richest decile (top 10 percent of adults) owns 88 percent of global assets, and the top percentile alone accounts for half of total household wealth," it added. The "Paradise Papers" leaks this month re-ignited heated debates over wealth inequality after it shed light on how some of the world's wealthiest shelter their fortune in tax havens. The leaked documents reveal offshore interests, financial dealings and activities of politicians and world leaders not privy to the wider public. Some of the patterns have exposed tax engineering and shopping sprees of major corporations around the world to reduce taxes in their home countries. The International Consortium of Investigative Journalists, which released the database composed of 13.4 million files noted, however, that there are legitimate uses for offshore companies and trusts.